Figures released recently have revealed that the main measure of UK inflation turned negative for the first time since the measure has been in existence. 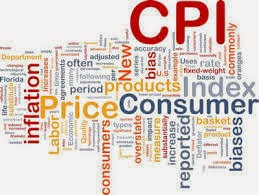 The measure, known as the Consumer Price Index (CPI), reached a figure of -0.1% in April and based on historical estimates, is the first negative figure that has been recorded in the UK since 1960. It is believed that the biggest contribution to the downturn of inflation came from a fall in travel fares, with costs thought to be 2.8% lower than last year. Food is also 3% cheaper compared to April 2014s figures. As a result of these comments, business owners and others are left wondering whether their own companies are equipped to cope with wider economical changes. In light of the figures released it is crucial companies arrange their businesses in a way that will safeguard their operations. To find out more about safeguarding your business and emergency IT support or if you have any questions please get in touch with us.